We spoke to the Italian duo about their love for the legendary Roland Juno-106 and why it's made its way into almost all of their tracks. "The piece we choose is the Roland Juno-106, which is obviously one of the most famous synthesizers since it came out in 1984. This is the first piece we bought together when we started this project and we were lucky enough to find it cheaper than usual. "It sounds really weird but we got it from a church in a small town in Italy called Alfonsine, close to Ravenna. The organist wanted to sell it because the sounds of the organ were too aggressive on the Juno, it was a really funny story. That was around 2012, more or less. 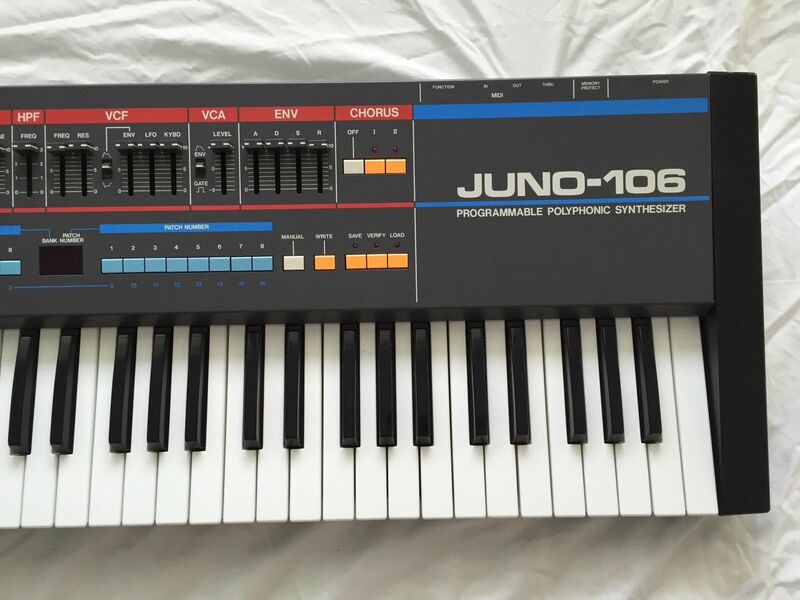 "The Juno-106 is the first MIDI equipped Juno and this is one of the reasons why it’s quite good. The synth features an onboard analogue stereo chorus effect which was also a fairly distinctive aspect of the instrument's sound. Its chorus was based on a set of bucket brigade delay (BBD) lines similar to other Roland products of the time including guitar pedals. Also, the bass on it is really thick and really easy to blend it in a mix. In some ways, we used it in almost every track we made, mainly for basses and pads. "The most obvious ones are 'Egoista' and 'Cancion' from our record on Hivern Discs back in 2015. The main characteristic of both tracks is the bassline and it comes exactly from the Juno-106." Marvin & Guy's new 'Solar Warriors' EP is out now. Listen here.